I discovered Patrick DeWitt’s writing a few years ago and have been following his new books ever since. His break-out book was the zany Sisters Brothers, which earned him a spot on the Man Booker list and nearly all the Canadian book prizes as well. Incidentally, that book was immediately optioned for movie rights and hit the screen at the Toronto International Film Festival this month. His latest book has made the 2018 Scotiabank Giller long list, so I feel confident that at least a few of the literati in this country share my sense of what makes for interesting writing. The charm of Patrick DeWitt’s writing is that he writes with a definite sense of humour, which is rare among serious writers. His characters are absolute oddballs and this is where his writing starts–from character rather than plot. 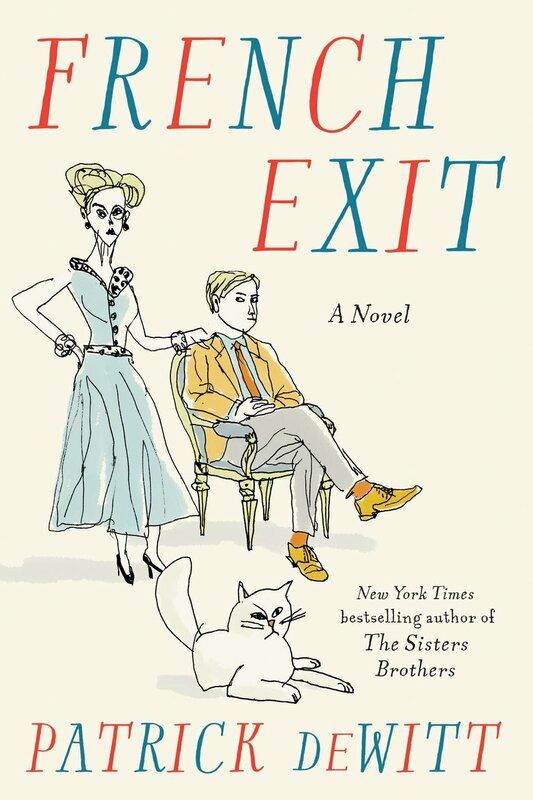 In French Exit, the characters are Frances Price, her son Malcolm, and a wide cast of misfits, mediums, detectives, and hangers-on. Frances and Malcolm are at a turning point in their lives–they are out of money. After never having to worry about cash, they are now at the end of the line and they have to choose how to go the next steps. Of course, a cruise across the Atlantic and a decampment to a Paris apartment are in order. The plot is ludicrous, the characters are unbelievable, but the dialogue is magic in this novel. Treat yourself to a great romp and come along to meet Frances and Malcolm, Small Frank, and the whole cast. I am guessing someone in Hollywood will think this will make for a great movie as well.